I recently read an informative and interesting post about using QR codes in the classroom QR Codes: The nuts and bolts, an excellent introduction to QR codes and how they might be used in the classroom. If you’ve never heard of QR codes before, I’m guessing you’ve probably seen them. QR is the abbreviation for “Quick Response,” and this code does exactly that. 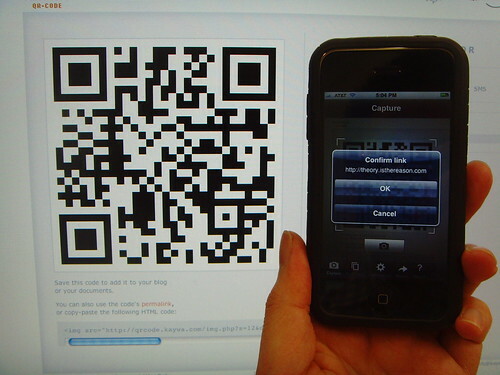 By simply scanning the code using your mobile phone’s camera, you are provided with information contained in that code. QR codes can direct you to a web site, enable you to check in to your flight, make purchases, redeem coupons, download and display files, send an email or text message, call a telephone number, add vcard information to your contact list, or display just about anything you can think of. In fact, just as I’m writing this, a realtor dropped off a postcard with information on a house for sale right next door. 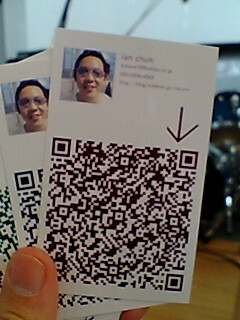 On that card was a QR code, which links to a mobile tour of the house! Using QR codes to market real estate is big business. My current favorite is Kerem Erkan’s site http://keremerkan.net/qr-code-and-2d-code-generator/ which easily allows you to create all sorts of QR codes. You just need to make sure you test your code once it’s generated, to make sure it provides the content you want. QR readers will know what to do with the data depending upon the format. For instance, a QR code can display plain text on your mobile device, a phone number which the user can dial, contact details the user can import into her/his address book, create and send a text message, display the URL of a web address, or make and complete a purchase transaction. There are many, many ways you can creatively use QR codes in your classroom. Once you understand how they work and the types of information they can provide, you will be unstoppable! Also, you should know that mobile phone cameras with QR code readers can scan QR codes projected on a screen as well as printed QR codes. However, many of the applications of QR codes work really well when used with print media. Interactive Back to School Night: Post QR codes throughout the classroom, with titles about various student work. QR codes could access student videos, projects, blogs, and many other ideas only teachers can envision. Hand out devices (iPod Touches, for instance) to parents who don’t have a mobile device and show them how to read the QR code and access the materials. Resource links on class handouts: Include QR codes that link to online resources, your contact information, articles, YouTube channel/playlists, your email, phone, SMS, Facebook link, Twitter, and any other resources students will need to access. Remember to include the URLs and text-based information as well, for those students who might not have a mobile device. Mobile Assignment Reminders: As your students leave the classroom, post a QR code on the door, with the title “Assignments for this Week.” Students could quickly scan the QR code and have that information instantly visible on their mobile devices. They won’t lose this as easily as a piece of paper. Self-Assessment: Create flashcards with the QR codes on the back, which would provide the answers. You could get very creative with this and incorporate links to websites that would provide additional information about the questions. Guided Tours: Students could create a guided tour of their school, a historical site, museum, or public building–researching the site, creating mobile webpages, videos, audio files, or any other type of appropriate media to provide more information–creating and posting the QR codes to the various locations. Mobile Class Newsletters: Include a QR code along with the printed URL that would direct parents to a mobile version of your class newsletter. Make sure you include directions on what the QR code is and how it can be read by a mobile phone. Code Quest: Create a cooperative learning “Code Quest” by posting QR codes at various locations. Each QR code will ask a question that will require the retrieval of an object. Once the object is found, another QR code will send students to another location, to locate yet another object. This Code Quest involves teamwork, cooperation, thinking, and moving around! Instant Surveys or Quizzes: Create a survey or quiz using a Google Docs Form and create a QR code link to that form. Students, parents, whoever, can easily access and complete the survey or quiz on the mobile device. So, this is just a start into thinking of ways teachers can use QR codes in the classroom. What are some of your ideas? Please write your comments below and as always, thanks for reading. Thanks for the nod to my post – good to see it enthusing people to the benefits of QR Codes in (and out of) the classroom. The FREE QR code campaign management and point-&-click mobile web page builder at http://www.linkblots.com does all this and more – you should check it out if you are looking for a no-risk way to enter the QR code and mobile web space as a business. I used this one in my class. I let my students work in groups with my Iphone. They loved it! These are some nice ideas! To find more uses, “think URL”. Much very specific — and useful — information can be transported via URLs nowadays. And, as the web is progressing, you can stand on the shoulders of giants. Another good way to think of QR Codes is “object/location bookmarks”. The information transported becomes relevant in the situation/place you’re in right now. For example, a QR code on a beamer could bring up its user manual and a way to reserve it for a future lesson. Let me just rattle down some examples from a common household situation: Adorn your TV’s remote control with a code which links to the current TV programme or IMDB. Put a QR code up next to the coat hanger which links to your local weather. Put a QR code up next to your door that shows you what trains/buses are leaving next from your local bus/tram/train station (via a specific query of your local transportation services). Keep your shopping list in Remember The Milk, make a QR code linking to that list and stick it on the fridge. Use QR codes to broadcast recurring events to members your family, like round-tweets/texts “I’m going shopping right now. Need anything?”, which you can e.g. put on that reusable shopping bag that you keep in your car. Can’t remember that darn WiFi configuration of yours that you only need to remember once every year? 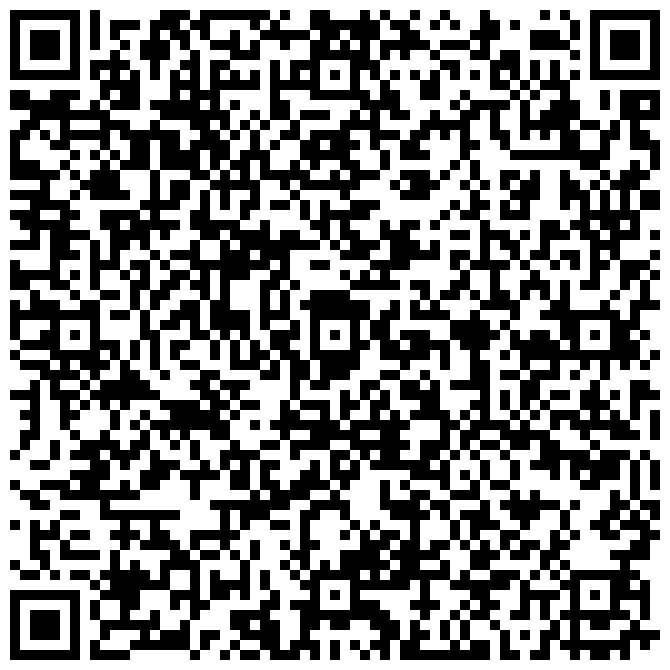 Put it in Evernote and link to it via a QR code that you slap on your WiFi router (or, if you must, create a plain-text-QR code if the configuration is stable). Doing GTD? Stick QR codes to specific locations where one or the other GTD context becomes relevant. which Slap QR codes on your more complex electronic devices which link to a PDF version of the user manual. Hint: URLs with queries etc. can become quite complex. You can use an url shortener like goo.gl. If you use goo.gl, you can simply add “.qr” to the end of the short url to create a QR code to print out. Pretty nifty, eh? Hint 2: Most URL shorteners only support “http://” URLs and can’t deal with custom URI schemes like “evernote://”. But good old tinyurl.com does! You also need to pay attention to install a scanner app on your smartphone which supports custom URI schemes. We have students create book reports on their library selections. Reports are posted to the web and QR codes pasted on the front end papers of the books so students can see how other students reviewed the title.